What is The Joe Fan Show? Welcome to the June 7 episode of The Joe Fan Show. Click here to listen to full episode. Segment 1: Stanley Cup Finals, NFL off-season, and Texas Rangers. Kick-off the show with a look ahead to Game 5 of the Stanley Cup Finals. Also, some notable NFL off-season stories, including the Colts. Plus, should the Texas Ranger blow-up the team and look to begin the rebuilding process? Segment 2: NCAA coaching changes. With the firing of Thad Matta, a look at the future of the program at THE Ohio State University. Also, changes at UNLV. What can fans expect? Segment 3: NBA Finals. Analysis ahead of Game 3 in the NFL Finals. Segment 4: Q & A. We pull questions submitted from fans on social media and our panel answers. Contributors featured in this episode: Clayton, Host (@Clayton_JoeFan); Matt, Co-Host (@Matt_JoeFan); Stephan (@Stephan_JoeFan). The Joe Fan Show airs Wednesdays at 2 pm PDT on NBC Sports Radio AM920 The Game. Interested in submitting a question or becoming a Guest Fan? Click here for more information. For general questions, email questions@joefanshow.com. For more information about The Joe Fan Show, contact creators Clayton Hamilton at clayton@joefanshow.com or Jeff Klein at jeff@joefanshow.com. Logos by Sean D. Lewis of RyDay Biologicals. 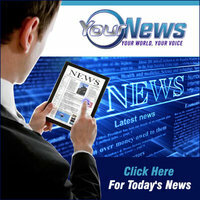 Check out YourNews.com for the latest scores and news.